Handing over ceremony of books and computers to Jaffna Public Library and medical items to Jaffna Teaching Hospital was held in Jaffna Public Library. 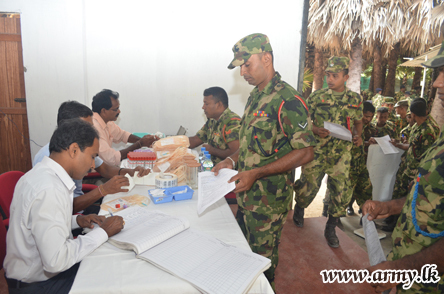 Governor of the Northern Province GA Chandrasiri participated as chief guest and hand over the books and equipments. 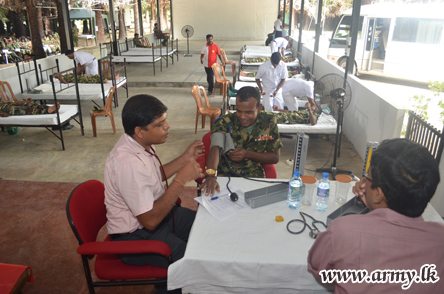 Federation of Malaysian Sri Lankan Organizations (FOMSO) and Dr. Puvanendran have jointly donated these items. 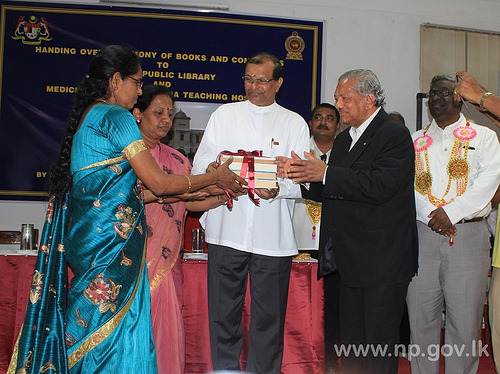 1 million rupees worth books were donated. 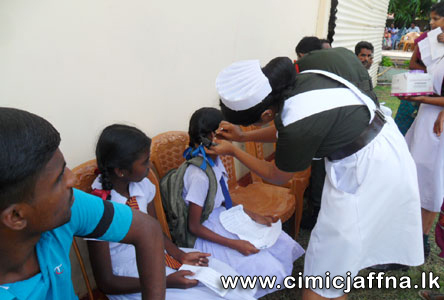 Mayoress of Jaffna Mrs.Y.Patkunarajah received them from Governor. 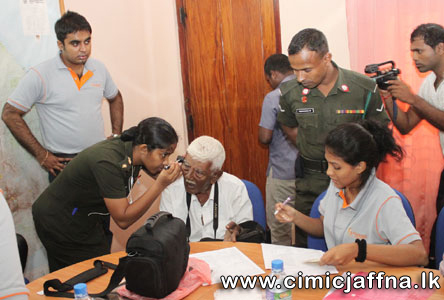 Director of Jaffna hospital received medical items from Governor. President of FOMSO Dato’ S. Kulasegaran, Secretary to the Governor L.Ilaangovan and other relevant officials also participated at this event.